There were five men going to church and it started to rain. 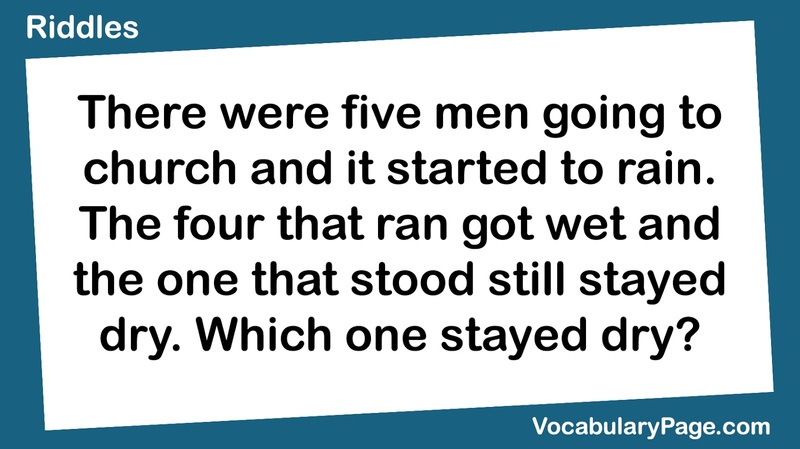 The four that ran got wet and the one that stood still stayed dry. Which one stayed dry?